Forget Comparing Creta to XUV W10 AWD, it doesn't even hold a candle to W8 AWD which is 18.7laks OTR in Bangalore. Someone paying 17laks for top end Creta ought to check what they are missing from a XUV W8 as the premium is just above one lakh. There is much more to a car than just 'features'. Build quality, fit and finish, reliability etc all count too. Yes, there is even more important thing called price. What price one is willing to pay for the urban legends of build quality, fit and finish. 1. There has been a lot that has been written about the pricing (around 30 to 40 pages on the preview section) from the time of the launch. We can only hope there will be some corrections/discounts - provided the competition comes up with a few aces up their sleeves. 2. We have also beaten the feature omission aspect to death - both from people who own other Hyundai models (including myself in my review) and others who admire cars like the XUV, Linea etc., Again, We can only hope that Hyundai will include them in their next facelift like they usually do. In spite of the above there is something about this car (I don't want to call it SUV, pseudo SUV etc) which has made it the Segment No. 1 within a month as per this article. What is it that makes our Indian mentality to work like this ? Thoughts ? Last edited by BNM : 26th August 2015 at 07:54. Going through this review, I have to admit that Hyundai has hit the right nerve of Indian car buyers. When the prices were announced, I thought Hyundai has gone crazy. But with 30k bookings and a waiting period of almost 6 months in some cities has left me perplexed. In a budget of 12-17 lakhs there are so many options today. Yet Creta seems undisputed leader in this price band. Then why Creta? What are its real USPs? Only strong point with Creta is its looks. OT. Hard to tell. Auto manufacturers now know that a couple of Lakhs here and there don't make a difference to the consumer. Though we find the price high by a couple of Lakhs it only a couple of thousands in the Emi. The swift continues to be a best seller a decade after launch even though there was bad publicity of its crash worthiness? India has a mentality to buy something that is already selling well. My neighbour has it and so should I. A classic case is to to visit a restraunt which is always crowded so you know that you won't go wrong. India's Adjust madi/Karo nature. I think with all the missing features the car would find it hard to sell in other markets. Indians are forgiving and adjust with what they have. That also explains as to how the Duster sold in large numbers inspite of poor features and interiors at super high prices. What about Audi and Mercedes? Some of their 40+ Lakh OTR models don't even have automatic climate control? I still don't see the regular masses going for safety? Most of the swifts sold are the VDI model, with no airbags and puny 165 section tyres. 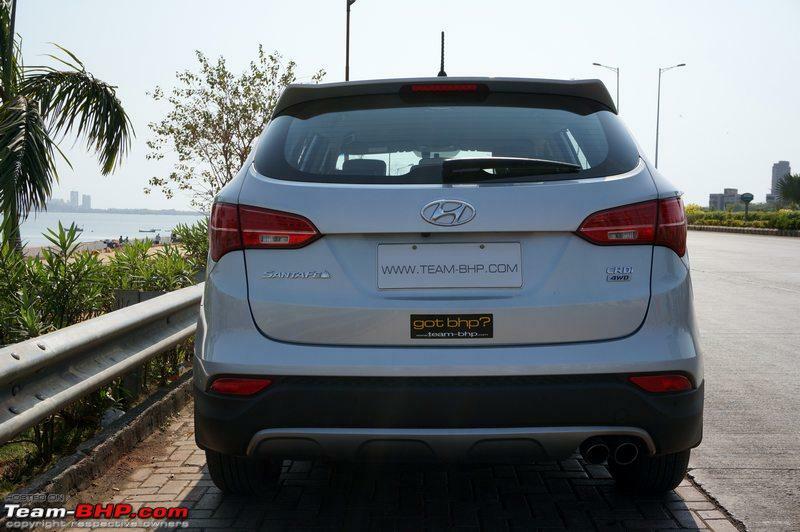 However I see that Hyundai has been able to change it a little here as the I20s I see are mostly top spec. Is it the safety that's influencing the choice or those gorgeous diamond cut alloys? Rest assured enthusiasts are limited in number and won't affect the sales of mass market products. Explains why so many hatches have better sales numbers than the Fiat Punto. Disclaimer: this post is not intended to hurt or upset anyone. Just my two cents on what happens on a mass market level and not what happens in forums like ours. We did beat up the Hyundai for all the points you mentioned but at the end of the day, for lack of choices, everyone settled down and compromised. In terms of compromise, the Creta is the least compromise. The Ecosport is a good package but space compromise and stiff ride is difficult to overlook. The Duster has brilliant mechanicals but the dated design and the poor interiors are too much of a compromise. The S-cross was anticipated but the pricing exceeded the Creta's so the Maruti actually helped Hyundai in boosting their numbers. So with the Creta you lose a few features but it's the least compromise. The SX(O) manual diesel trim loses out on some features but teh features are easy to overlook for the rest of the package. The SX+ AT is very difficult to digest but for an absolute need for an AT, you also don't have other choices except for the C2 segment sedans like the Verna, Vento, Rapid and City. While the pricing is premium and features are cut, the part that I'm most miffed about is the lack of a SX(O) AT variant. There are people ready to pay 18L for a Creta i.e. 1L over the SX(O) MT and I fail to understand why Hyundai skipped this. With an SX(O) AT trim, it would be very difficult to justify a Corolla or an Octavia or even their own Elantra. Saw a black Creta at length today next to me in traffic. While it looks good, it does look quite a bit smaller than the white shade and this particular vehicle was already looking shabby and seemed to have swirl marks too. Overall, the chrome looks much better on the darker colours I feel but the vehicle itself looks much too small. 1. Traction control can be disabled via a button placed to the driver's right (useful when starting off on a slippery surface). 2. A long press of the same button will disable the ESP (don't ever do this). Surprised to know that TCS is provided in Creta. I did not found this mentioned in any of the official / unofficial reviews. I believe this should be mentioned at the OP itself, in list of features along with ESP. Last edited by moralfibre : 26th August 2015 at 11:11. Reason: Removing image from quoted post. Give this engine slightly more throttle than you would in the diesel and you get going in a seamless manner. The first thing that strikes you is the linear power delivery. It's very straight and very progressive. The engine offers good urban driveability by petrol standards. Drop the speedo to 10 - 12 kph in 2nd gear, just wait for a brief moment and it starts pulling nicely. Low rpm torque delivery is satisfactory and you'll have no problems living with it. The 1.6L certainly isn't dead at ~1,500 rpm like some other petrols. Additionally, the gear ratios are perfectly chosen. Last edited by vkaul1 : 26th August 2015 at 10:43. With Creta and S-cross launched now and available in market they are visible on roads too. Surprisingly i can spot daily Creta and S-cross both within my 50 kms daily drive. Don't get me wrong but in actual, on road both cars i found to be on neutral side in terms of looks. Nothing much exciting about both cars. Creta is good but looks odd from some angles, nothing great or special. Audi has models like Q3 & Q5 which looks more or less same as Q7 which is their legendary car. Hyundai should have also done same with Creta. They should have done baby Santa Fe instead of doing Creta. It would have looked much better. Santa Fe is way better in looks and baby would have looked similar only. No body would have complained as well as its their design only. Did you bother to do any research before posting this ? What do you see below ? Last edited by BNM : 26th August 2015 at 14:11. I have seen this already mate. 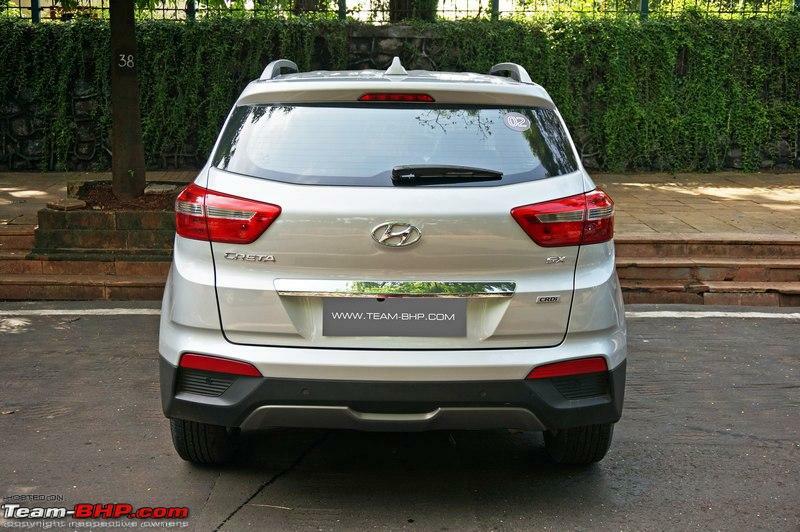 I am talking about overall car & it doesn't look as good as Santa Fe look. Though both cars are similar there are differences and may be those only makes Santa Fe looks much better. Especially rear if you see, Santa Fe is much better here. Creta has very ordinary rear end to be frank. See images below. Also its my personal opinion, others may find it better. Brilliant review Moral fiber and GTO, as always! After going through couple of Initial onwership reviews, i think that this one tries to fill in the gaps left by esteemed creta owners as well as it says, the best bet is to own a SX(o) option which comes with safety, goodies and looks at his best. Last edited by moralfibre : 26th August 2015 at 15:01. Reason: Fixing quote tag. Moreover, New tucson could be called as a baby Santa fe , Creta looks like a Mini ix35/Tucson. I so wish, ix35 should also be launched 2017 , if not 2016. All times are GMT +5.5. The time now is 09:59.